Most people I have met on the radical left have taken it for granted that the People’s Republic of China (PRC) is a thoroughly capitalist state, economy, and society. Many of the comrades (past and present) with whom I have discussed the class character of China have pointed to its possession of a stock exchange, its deep implantation in the capitalist production and commodity chains, and the supposedly “imperialist” character of the Chinese state. When demonstrating the imperialist character of China, some comrades will point to what they say is the congruence of Lenin’s theory of imperialism and the increasing flow of Chinese capital into certain oppressed nations. In this contribution, I will argue that the “orthodox” judgement that China is a thoroughly capitalist state and economy is mistaken. I will do this by adopting a large portion of the arguments made by the economist Michael Roberts. He explains that while the law of value does operate to some degree in China, it is by no means dominant. In fact, the government of the PRC still retains enormous and overwhelming dominance over the economy of China. 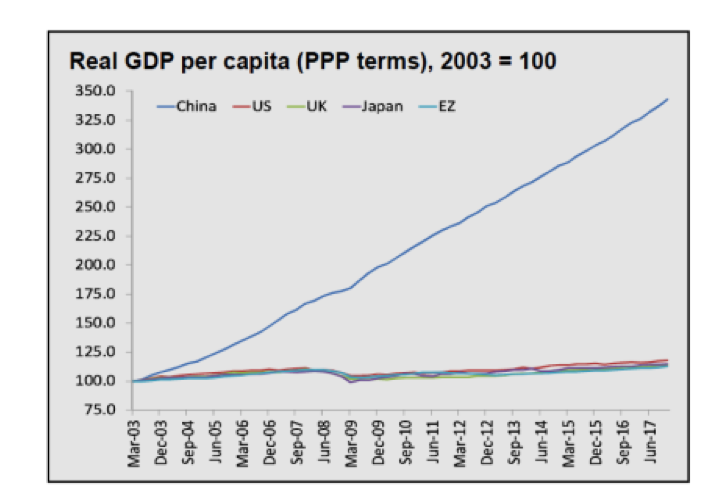 As Roberts explains, capital flows in and out of China are strictly controlled, and the vast majority of its GDP growth is due to the production of state owned enterprises. This article will say nothing about the class character of the superstructure of the PRC. It is concerned only with the material base. Roberts’s position is that the political character of the Chinese state is an autocracy, not a worker’s democracy. I broadly agree with this assessment. Despite this, Roberts points out that the PRC is at a crossroad and the future of the class character of China is open and contested within Chinese society. There are not insignificant political forces in China that wish to see it develop into a fully socialist society, instead of the “distorted” one it is now. Indeed, the pro-capitalist political players within China have been partially discredited by the way the West has suffered so badly from their reliance on naked market forces. 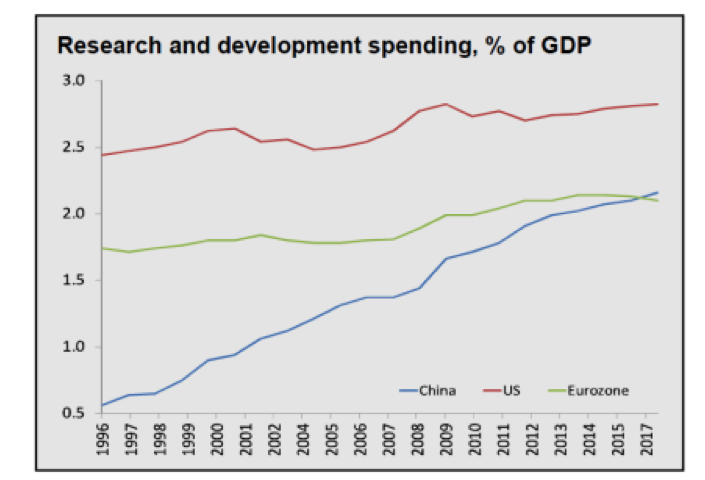 China is famous for its GDP growth, the envy of the whole world. Not even India can approach the heights of the expansion of the Chinese economy. Even though China’s GDP growth is enormous compared to the West, which struggles to reach even 2% growth per year, Roberts says China needs GDP growth of at least 8% per year to prevent unemployment from rising. The proletarianisation of the rural Chinese population continues apace as millions of people leave the countryside and flock to the cities. High unemployment would cause social unrest. 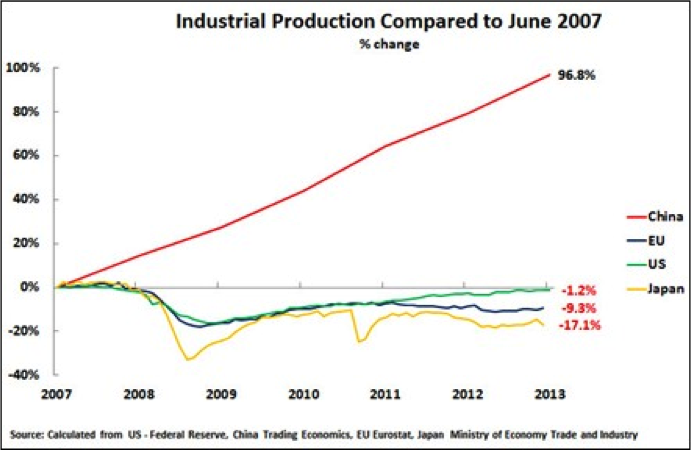 The increase in China’s industrial output since 2007 is enormous. In comparison all other countries seemingly have “deindustrialised”. Taken at face value, the GDP per capita of China shows that China’s enormous economic expansion has increased the wealth of its population significantly. Indeed, Roberts reports that about 600 million people have been lifted out of poverty, according to the standard international definition. But this graph hides the massive growth of inequality within China because of the expansion of market forces within the country. 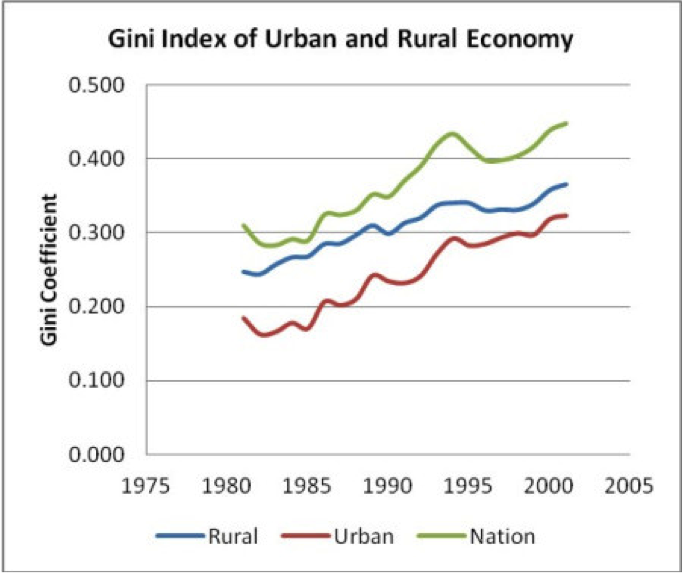 This can be seen in the historical change in China’s Gini coefficient. So the economic growth of China has come at the expense of huge increases in wealth inequality. A very interesting question to answer would be: who has benefited the most from China’s enormous industrialisation? Most people on the left have taken the data on the massive increase in inequality to indicate that China has fully completed its transformation into a capitalist economic system. People take this to mean that China’s society has well and truly stratified into a capitalist ruling class and landless workers. But is China now fully capitalist? By itself, the Gini coefficient is insufficient to decide on this question. Indeed, the data on Gini presented above is quite ambiguous. The mainstream discussion of the economic development of China and its corresponding class character is occurring in the context of the neoliberal economic discourse. This discourse centres on how China has oriented to exporting commodities in the global capitalist system. World Bank economist Yifu Lin argues that under Deng Xiaoping, China oriented from a comparative advantage defying strategy (CAD) to a comparative advantage following strategy (CFD). The old CAD strategy led to a range of industries that were “unviable” — meaning they were “uncompetitive on the global capitalist market”. Under Deng, Lin argues that China took advantage of its comparative advantage, its cheap labour factor of production. Roberts gives three counter arguments to cast doubt on Lin’s theory that China’s development is due to the expansion of reforms that better integrated it into the global capitalist system. First, Lin’s explanation seems to suggest that China’s economic fortunes under Mao were terrible. But this is not the case. From 1952 to 1978, the GDP of the PRC increased 6.1% per year on average. 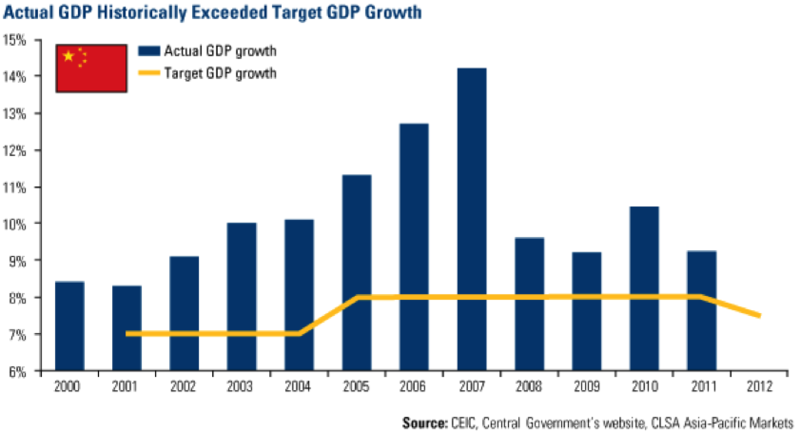 Given that the official predictions for GDP growth in China are around 8% per year, Lin’s explanation that China’s shift towards a CFD strategy does not seem to have produced a different kind of growth in China. Finally, a country’s original comparative advantages are endogenous to specialisation decisions and other economic factors. Endogeneity is the quality of being internally connected to some process or object in a complex way. So the endogeneity of specialisation decisions and certain economic factors means the competitive advantage of some country is not easy to just look up in a book or encyclopaedia and write down in a spreadsheet. Because the world market is not made up of a single economic input, the only way to assess comparative advantage is with market prices. But this is where the problem of endogeneity comes to bear — just because something is cheap does not actually make it a competitive advantage, because of the enormous complexity of the world economic system. Lin treats comparative advantage as something simple to observe and decide upon, as if it were an epiphenomenon — something that is external to the system China was embedded in. This is not true at all. Many comrades adopt Lin’s approach, whether they’d like to admit it or not. Almost everyone in Australian society claims China’s cheap labour is the reason it ended up industrialising so spectacularly and becoming a capitalist society. Lin’s theory is the most rigorous form of this pub explanation. It turns out to be completely unfounded in science. A slightly more nuanced perspective comes from the paradigmatic Keynesian one currently offered up. One such paradigmatic Keynesian explanation for China’s economic development since Deng Xiaoping has been given by a scholar named John Ross. This explanation is the obverse of Lin’s. Lin follows the neoclassical dictum that investment does not drive economic growth. Lin claims it is consumption that drives growth — that it was consumer preferences, the old “the consumer is king” slogan, that drove market forces and production. But, as Ross shows, there is empirical evidence that investment does drive growth — the trend in economic development all throughout history is that the proportion of the economy devoted to investment rises. In China, … relatively limited budget deficits have been combined with low interest rates, a state-owned banking system and a huge state investment programme. While the West‘s economic recovery programme has been timid, China has pursued full blooded policies of the type recognisable from Keynes General Theory as well as its own ‘socialism with Chinese characteristics’. So, apparently Deng was completely ideologically uncommitted. He was prepared to permit the growth of a private market and the development of large state investment in the economy. While Ross’s explanation and description of China’s economic development since Deng Xiaoping seems to have some evidence, he starts from some false premises. The correct way to start analysing the economic development of a society under capitalism is not to start with its comparative advantage, or the rate of savings and investments in an economy, but to start with the law of value. China’s economic development is better gauged from the ability of an economy to avoid the unstable impact of the law of value while al so recognising its inexorable power. Roberts explains that the Marxist understanding of economic development, the law of value, is about the dialectical contradiction between “productivity” and “the falling rate of profit”. Productivity, as Marxists understand it, is the rate of exploitation, the rate of surplus value extraction from a worker in the workplace. The higher the rate of exploitation, the more productive the worker, workplace, or economy. However, this special indicator of economic fortunes needs to be weighed against the result it has on the global economic system, and this is determined by the “rate of profit” of an industry or a workplace. Broadly speaking, the more surplus value a sector of an economy produces, the more investment it will receive. Resources will be directed at more productive sectors and even pulled from sectors with a lower rate of exploitation. But this has a counter-acting effect on the economy. This causes the “rate of profit”, the overall return on capital investment, to sink in that sector with a higher rate of exploitation as well as the rest of the economy, because they are now producing with less investment. The only way economies can return to higher rates of profit is by increasing their use of technology in order to increase the rate of surplus value again, in order to drive more investment in targeted sectors of their economy. So what does this mean for the class nature of the Chinese economy? The best answer is the historical one. Roberts shows how the three phases of profitability in China led to the class character of China. The first cycle since 1978 was between 1978 and 1990, when “there was an upswing as capitalist production expanded through the Deng reforms and the opening up of foreign trade”. But in the second cycle, from 1990 to 1999, there was a decline in the rate of profit in China, as over-investment plagued the Chinese economy, and many other countries of similar development (Mexico, East Asia, and Latin America, all between 1994 and 2001), went into severe economic crisis after being forced to “join” the Washington “consensus”. This falling rate of profit caused a slowing in GDP growth. 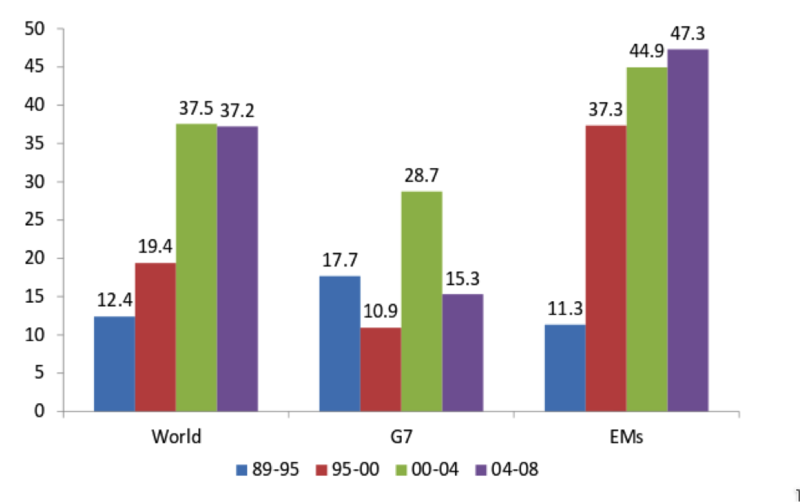 … from about 1999 onwards, there has been a rise in profitability, which also saw a significant rise in the rate of economic growth (as the world too expanded at a credit-fuelled pace) After 2007, the slump in world capitalism drove down Chinese profitability. Rising wages were not matched by increased sales abroad, so the rate of surplus value slumped (green line) while investment in fixed capital remained high (red line). So profitability fell. 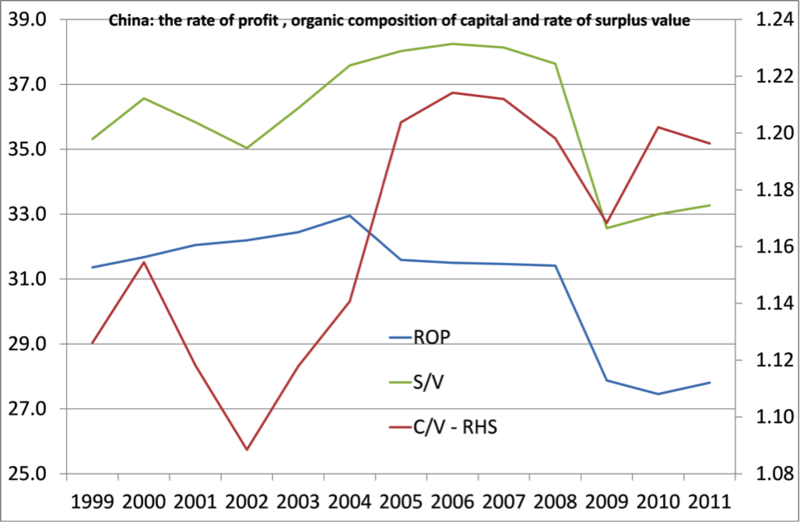 The data for the organic composition of capital shows it rose as surplus value sank, as Marx explained. 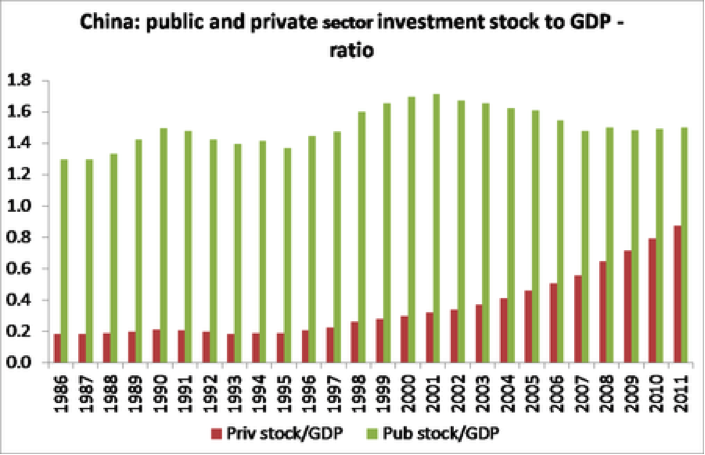 In the first graph, the ratio of the Chinese public GDP and stock to private is almost 3:1, in absolute terms. 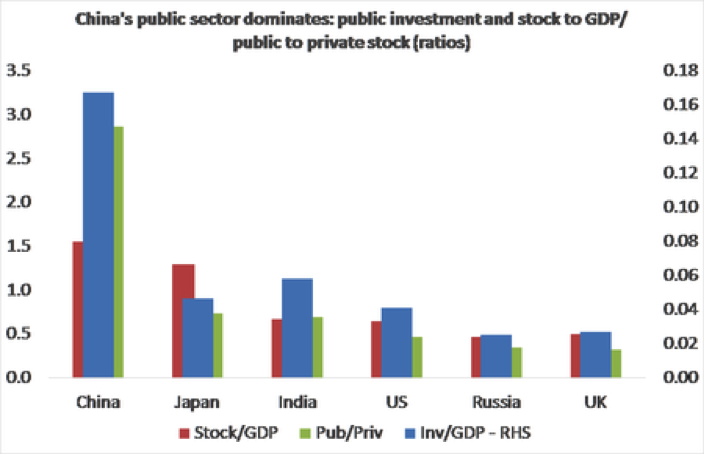 The second graph provides the biggest piece of the puzzle to explaining the changing fortunes of profitability in China — while public stock is still greater in absolute terms compared to GDP, the ratio of private stock to GDP is growing. So capitalism, defined as the law of value, is not dominant in China, but it is growing. Roberts’ analysis of the class character of the Chinese state is illuminating. Indeed, Roberts demonstrates that the class character of the Chinese state is still closer to the old “degenerated/distorted workers state” characterisation than to the now-popular characterisation as fully and thoroughly capitalist. From what I can discern, Roberts’ explanation that growth in China is triggered by investment from state-directed finance from public funds seems sound. This explanation is grounded on the Marxist science of the law of value. The PRC’s rate of profit is so high because it manages to avoid many of the pitfalls of the profitability of a capitalist economy. 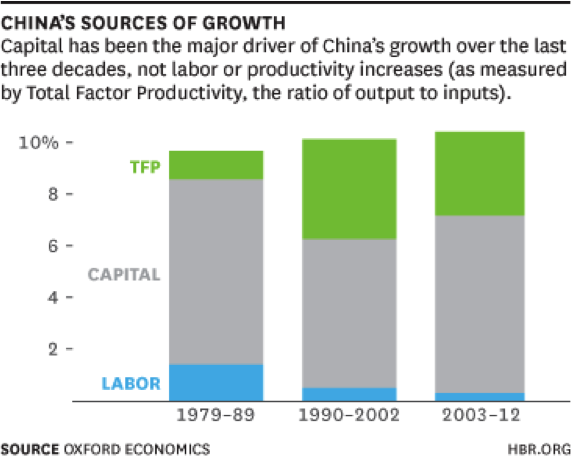 But to the extent that capitalism and the law of value do plague the PRC, there are deviations and slumps in the overall productivity of the Chinese economy. The major drawback of Roberts’ account of the class nature of China is that it is general and broad-brush. I cannot fault him for this defect in his work because his goal with respect to analysing the rate of profit in China is not to draw up a specific set of guidelines about how to relate to specific forces in China. He is more concerned with measuring the global rate of profit, and analysing the fortunes of global capitalism as a whole. Roberts’ work also says nothing about the political structures of the PRC. It is entirely concerned with the economic base of China. A complete dialectical analysis of the PRC and its role in the cause of global communism demands that we also understand how the superstructure of the PRC relates to its economic base. This is likely to be just the beginning of a long debate. We need to pay close attention, because China is a major economic and political force in the world and there may be forces within it that we can relate to in order to best carry out internationalist socialist struggle. Roberts’ work on the class nature of the Chinese economy needs to be radically expanded and continued. In November there will be a conference at Newcastle University discussing the role that Marxism plays in politics and the economy of the PRC. To find out more about the forces that exist in China and what they have to say, I suggest we have a presence at that conference. Table of contents Proposed amended Communications policy Draft Federal election platform: Our lives are worth more than their profits Proposed amendment to Drugs policy Preparatory reading for Summer School participants Proposed amendments to Socialist Alliance Constitution and Code of Conduct Proposed amendment to NDIS policy Communications policy proposal Draft Tax policy Accommodation options in Geelong 13th National Conference and Summer School A Contribution to the Debate on the Class Character of China Unionism inside Australia and Imperialism Against Facebook and other forms of mainstream social media An argument for critical engagement with social media within Socialist Alliance Addressing sexual assault and harassment: What can we do better?